Book: Exodus (10), Deuteronomy (1), Matthew (1), Romans (1). Service: Sunday Morning (11), Sunday Evening (1). Exodus 20:17 (Part of the Ten Commandments series). Preached by Mark Barnes on February 21, 2010 (Sunday Morning). Deuteronomy 19:15-21 (Part of the Ten Commandments series). Preached by Mark Barnes on February 7, 2010 (Sunday Morning). Matthew 5:27-32 (Part of the Ten Commandments series). 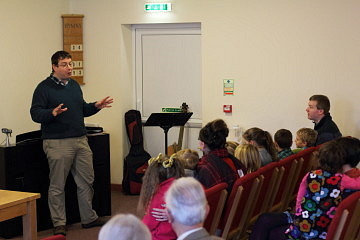 Preached by Mark Barnes on January 3, 2010 (Sunday Morning). Exodus 20:13 (Part of the Ten Commandments series). Preached by Mark Barnes on December 6, 2009 (Sunday Evening). Preached by Mark Barnes on December 6, 2009 (Sunday Morning). Exodus 20:12 (Part of the Ten Commandments series). Preached by Mark Barnes on November 29, 2009 (Sunday Morning). Exodus 20:8 (Part of the Ten Commandments series). Preached by Mark Barnes on November 15, 2009 (Sunday Morning). Exodus 20:8-11 (Part of the Ten Commandments series). Preached by Mark Barnes on November 8, 2009 (Sunday Morning). Exodus 20:7 (Part of the Ten Commandments series). Preached by Mark Barnes on October 4, 2009 (Sunday Morning). Exodus 20:4-6 (Part of the Ten Commandments series). Preached by Mark Barnes on September 20, 2009 (Sunday Morning).